*For more information please click here. They may be ambitious, determined perfectionists, but the remarkable kids in A Delicate Balance are also incredibly endearing, and not the least bit averse to laughing at themselves. These adrenalin-fuelled 10-, 12-, and 14-year-olds are already striving to attain the highest performance standards. 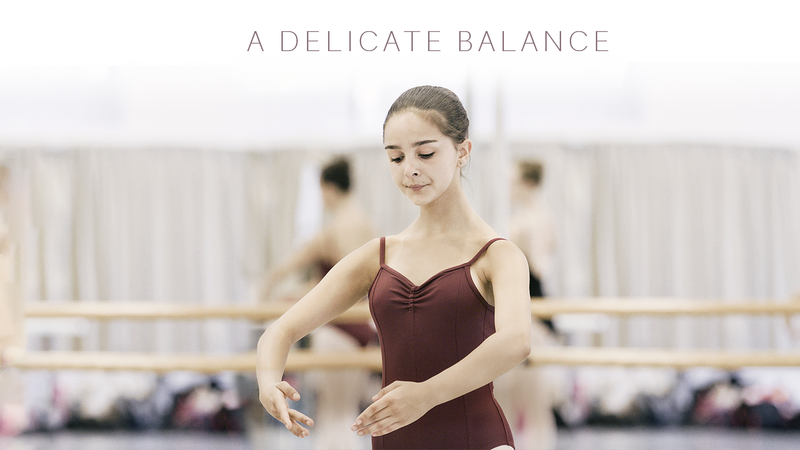 Filmed from the perspective of four students from the École supérieure de ballet du Québec, A Delicate Balance takes an introspective look at the lives of young people on the cusp of adolescence—that critical time in one’s life when childhood fantasies begin to collide with the realities of being an adult. The girls and boys in this restrained first feature doc view themselves with a combination of lightheartedness and seriousness that’s typical for their age. Ultimately, their coming of age experience is not so different from the path we all must take when facing those big decisions about our future, those watershed moments that force us to take a good look at ourselves in the mirror.